Enjoy a heart rending breakfast in your hotel room. Soon our chauffeur meets and greets you, welcoming you for a memorable journey to Mughal city of Agra in a private, luxury car. Agra, the capital of the Mughal Empire is home to several grand buildings and palaces of Mughal architecture. As soon as you arrive in Agra, your very first destination is the Taj Mahal. This fabulous structure was built by Shah Jahan in loving memory of his third wife Mumtaz Mahal. 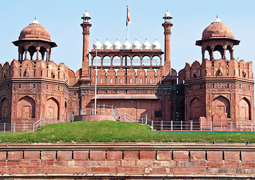 After the Taj Mahal, we move on to next halt, which is Red Fort. Made of red sandstone, this magnificent tructure encloses amazing marble palaces, baroque mosques, sprawling gardens and monuments. Your next stop in the journey is Tomb of Itmad-ud-Daullah, or “Jewel Box,” known for its ornamentation and sophisticated architecture. Our chauffeur will transfer you to hotel. Unwind yourself in the hotel room. Enjoy the dinner in your room, and later retire for a peaceful sleep, dreaming about the journeys you took all-through the day. Enjoy a great breakfast served in your hotel room. Check out from hotel. Pack your bags and set for onward journey to Jaipur. Enroute the journey, halt for a while at Fatehpur Sikri, which was once the well-known political capital of the Mughal Empire. This grand city was constructed by the Great Emperor – Akbar in the year of 1569, and was abandoned 2 decades later due to scarcity of water. Fatehpur Sikri is a UNESCO World Heritage Site. Also discover the grand Jama Masjid, the graceful tomb of Salim Christi, and white marble structure - Panch Mahal. Later in the afternoon, resume your journey to Jaipur. When in Jaipur, your first halt will be Amber Fort. It is the imposing complex set in the middle of the rugged hills and Maotha Lake. This structure was built in the 16th century. Several modifications continued to take place inside and outside the fort in next 150 years by various rulers. Later, move to hotel. Unwind yourself and relax. Enjoy the special traditional, Rajasthani dinner in your hotel room. 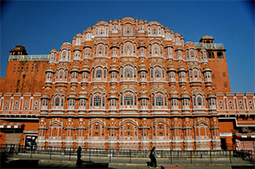 Enjoy the breakfast and afterwards, chauffer will welcome you for start of journey of Jaipur – the pink city of India. Your tour begins with exploration of luxurious and imposing structures at the City Palace, which has amazing museums as well as home to current royal family. Later, move on to visit Observatory to catch a close glimpse of 18th-century astronomical devices, including a massive sundial, showing time with 2 seconds of accuracy. Also plan a visit to verdant Ram Niwas Gardens, and reconnoiter the fabulous pink residential and business centers of Jaipur. For rest of the afternoon you are free to move around. The chauffeur and the car are at your disposal for amazing exploration of princely city. Later in the evening return to your hotel. Unwind yourself in the hotel room. Enjoy the dinner in your room, and later retire for a peaceful sleep, dreaming about the journeys you took all-through the day. Enjoy a great breakfast served in your hotel room. Check out from the hotel. The chauffeur will welcome you and you get set for the journey that would take you to another princely state – The Jodhpur. Your first halt is Meharangarh Fort, which is possibly one of the largest forts in India. The fort was built in 14th century. As you pass through the grand gates into a world of lavishness and royal influence. Move through the hallways of museums and palaces, surrounded with strong fortress walls. Explore the magnificent “Pearl Palace,” with its concealed balconies, and the “Palace of Flowers,” with its simply beautiful “entertainment chamber” luxuriantly embellished with gold filigree. In vicinity, the sophisticated marble work at Jaswant Thada would make you awestruck. The structure was built in the year 1899. The marble work is subtly unique as it was carved through thin sheets of ornately carved and polished carvings in marble. Next, catch the view of astonishingly superb Umaid Public Gardens. Enjoy the luxurious morning drive to Udaipur. The car will always remain at your disposal for a relaxed study of this “City of Lakes.” Return to your hotel room. Unwind yourself in the hotel room. Enjoy the dinner in your room, and later retire for a peaceful sleep, dreaming about the journeys you took all-through the day. 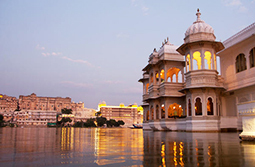 Reach Udaipur later in the afternoon and your first halt will be City Palace Fortress. The embellished fortress walls show bygone era of kingly pleasures. This gigantic complex oversees Pichola Lake and puts forth sophisticated mélange of European and Chinese architecture. Discover the amazingly styled buildings, gardens, and fountains erected by successive rulers. Visit the 17th-century Jagdish Temple, situated within the palace grounds. The principal pyramidal pinnacle stands at an impressive 79 feet (24 meters), embellished with statues and figurines of dancers, elephants, horsemen, and musicians. Explore Sahelion Ki Bari, the “Garden of Maidens”— ladies court for grand lifestyle. Pass through the huge statues, lined alongside shady marble pathways. The pathways would lead to grand gazebos, colorful flowerbeds, and ornate pools and fountains. Next, explore the very famous Bhartiya Lok Kala Mandir. It is an impressive folk art museum that gives you the glimpse of traditional Indian culture. Look around for exclusive and traditional rajput styled dresses, ornaments, masks, puppets, and instruments. 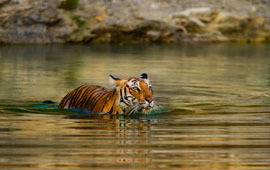 Tour the “City of Lakes” with a unforgettable drive around charming Fateh Sagar Lake. You have the evening free to do anything. The car will always remain at your disposal. In the late evening return to your hotel room. Enjoy the traditional dinner. Transfer to the airport to catch onward flight to New Delhi. It is also a good idea to catch train to New Delhi.